The Historical Novel Society Australasia is proud to announce its first Sydney satellite event in the lead up to the 2019 HNSA Conference on 25-27 October. 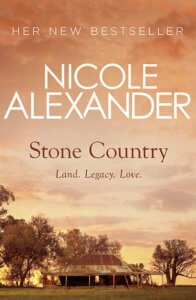 Please join us in conversation with bestselling author Nicole Alexander as she speaks to beloved children’s author Belinda Murrell, about researching and writing her new historical novel, Stone Country, set in Australia in the early 1900s. The event is being generously hosted by Harry Hartog Warringah Mall and will run in-store on Wednesday 24 April from 5:30 pm. Light refreshments provided, all welcome! 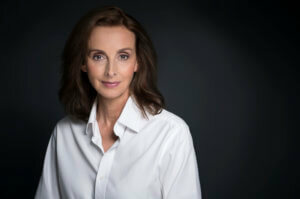 Nicole Alexander is the author of Australian historical novels: The Bark Cutters, A Changing Land, Absolution Creek, Sunset Ridge, The Great Plains, Wild Lands, River Run, and An Uncommon Woman. Stone Country is her latest release. Nicole’s novels, poetry, travel, creative writing and genealogy articles have been published internationally. Nicole has a Masters in Literature & Creative Writing and when she’s not writing she is the business manager of her family’s rural holdings in northwest NSW. Learn more about Nicole at her website. 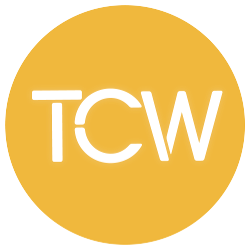 Connect with her on Facebook , Twitter and Instagram. 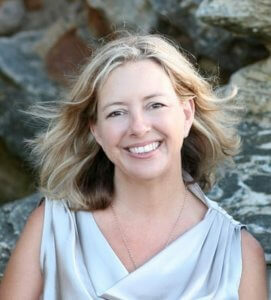 Belinda Murrell is a bestselling, internationally published children’s and YA author who has written over 30 books. These include the popular Lulu Bell and Pippa’s Island series for younger readers. She is also known for her historical time slip novels including The Sequin Star, The River Charm, The Locket of Dreams, The Forgotten Pearl, The Ruby Talisman and The Ivory Rose, which have been recognised by various awards, including Honour Book KOALAS 2013, shortlisted in the YABBA children’s choice awards for the last seven years, CBCA Notable List and highly commended the PM’s Literary Awards. 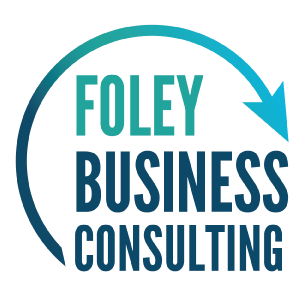 Connect with Belinda via her website, Facebook and Instagram. Stone Country is available here. The satellite event is FREE but please reserve your seat. 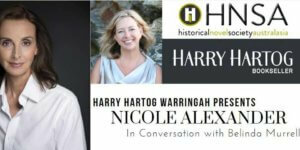 Nicole Alexander is also appearing at the 2019 HNSA Conference at Western Sydney University, Parramatta on Sunday 26 October at 9 am where she will be interviewed in a Personal Histories session alongside Ella Carey by Irina Dunn. Learn more at the HNSA website where you can buy your early bird tickets. HNSA Sydney 2019 will be held on the weekend of 25-27 October 2019, at Western Sydney University, Parramatta. Once again, historical fiction writers and readers can gather for a three stream program on the weekend of 26-27 October including our extended Academic stream on Sunday 27 October. This time there’s also a Craft & Publishing program on Friday 25 October with craft workshops, masterclasses and manuscript assessments with top class tutors. Our Guest of Honour is Jackie French. Keynote speaker Paula Morris will address our theme: History Repeats. Among the 60 acclaimed speakers are patrons Kate Forsyth and Sophie Masson, Catherine Jinks, Ali Alizadeh, Marie Munkara, Lucy Treloar, Robert Gott, Pamela Hart, Nicole Alexander,Jane Caro, Alison Goodman, Kelly Gardiner, Michelle Aung Thin, Meg Keneally,Majella Cullinane and so many more.